Public schools don't believe children can learn algebra until around the 4th or 5th grade. Datzyk Montessori School believes a child can learn as much as he or she is able to comprehend. 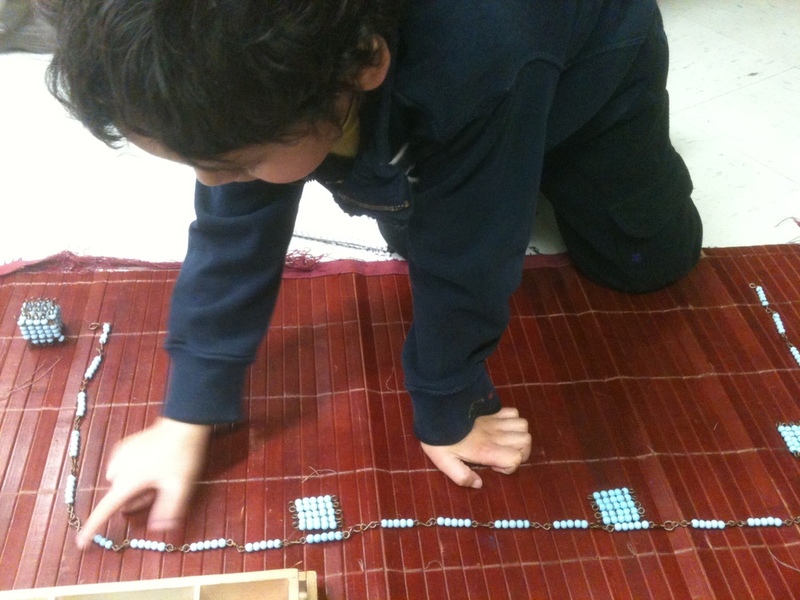 It just so happens that our five year old class has students who are able to understand squaring and cubing numerals. Here is one boy doing the "five long chain," or, caluculating 5³. You should see a video of the same boy reading out loud and answering difficult questions about squared and cubed numbers. It's on our Facebook (click here! ).